Tightly packed spherical umbels of 50 or more, white, star-shaped flowers appear on upright, ribbed stems in early summer, and can be left on the plant for many months. Height 1.2m. 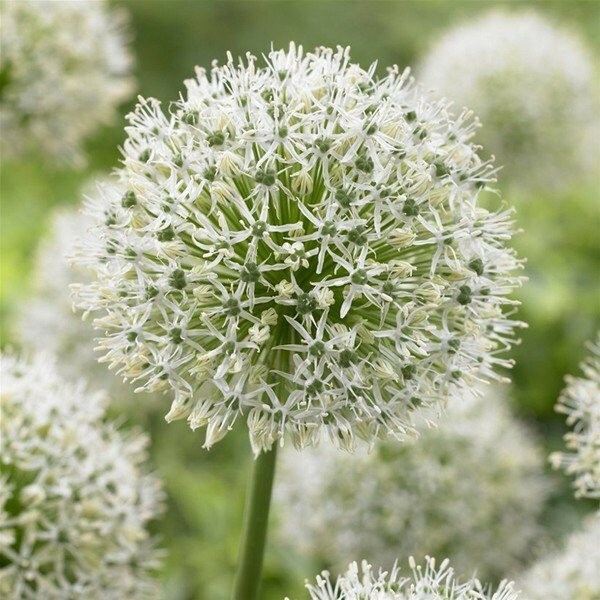 This is our favourite white allium which we have planted throughout the nursery and garden. Loved by bees.